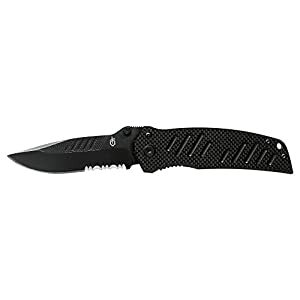 Made of .08 Black Kydex this sheath accepts the Gerber Mark II knives, old and new. 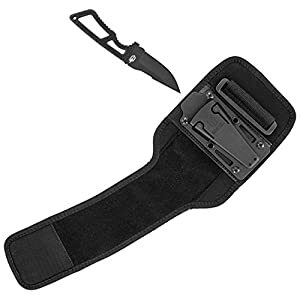 Patent Pending design uses a synthetic lining to lend a hand allow a scratch and mar-free carry of quality knives without fear of damage that normal kydex sheaths can do, though extended hard use may reasonably “buff” some blades through the years. 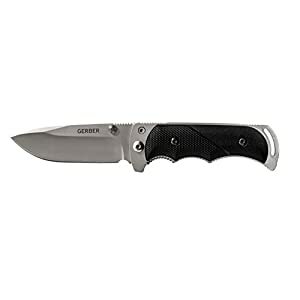 The sheath is designed to be modular to allow for more than a few carry positions based upon user preference or need. All holes are spaced to accommodate belt attachment (as much as 2″ belt, supplied), small, large, Molle and Tek Lok attachments. 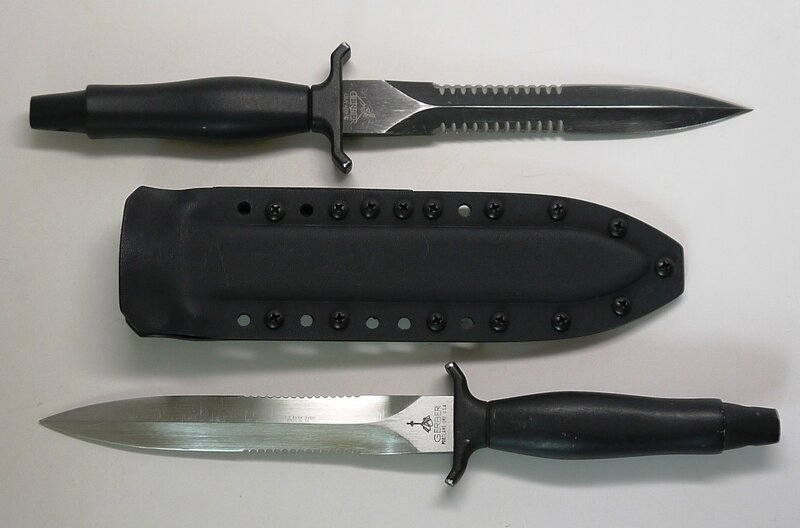 This allows the user to mount the sheath in any of these ways: Traditional vertical (left or right side), Horizontal (front or back, left or right), on a slight cant (cross draw, left or right) upside down. The sheath has drainage hole for waterborne activities and Will also be taken apart for cleaning and drying. As well as, the lining allows for a quiet insertion and lightning fast draw, with the good thing about a non-specific directional insertion. Sheath has excellent retention.